Our new NFPA 1006 Operations Level Vehicle Rescue and Extrication course will develop skills and knowledge directly applicable to real-world operations. Location: 1750 Finch Ave East, Seneca College Newnham Campus, Fire Protection Training Centre. Through in-class and hands-on practical sessions and scenarios, students will develop real-world operations level skills and knowledge. Some highlights of skills and knowledge the student will possess at course completion: Scene Size up, Vehicle Stabilization, Victim Access and Management, Extrication Techniques, Alternative Extrication Techniques. See course Itinerary below for details. 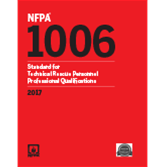 This course meets or exceeds all requirements of NFPA 1006 (2017 edition) for Vehicle Rescue and Extrication. Successful participants will receive a Seneca College Fire Services Training Division Certificate. Combination of home study, in class lecture and practical/hands-on. Pre-course assignments, in-class quizzes, final written test, skills evaluations. All curriculum assignments are mandatory. Each student must receive a minimum of a 70% Passing Grade. Attendance in mandatory for all In-class & Exam Sessions. In preparation for the course students are required to complete quizzes and assignments from chapters 1-11 of Vehicle Rescue and Extrication, 2nd Edition published by Jones and Bartlett. Assignments and quizzes will be completed on the Jones and Bartlett Navigate 2 online Platform. All assignments and quizzes must be completed before the first class. Students will receive Pre course assignments by April 12th at the latest. *Note: Course fees do not include textbook and online resources costs. 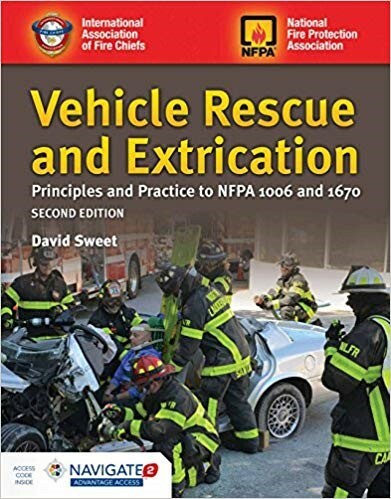 Students are responsible for purchasing Vehicle Rescue and Extrication, 2nd Edition published by Jones and Bartlett with the Navigate 2 Platform (online tool). Be sure to purchase a new book with a new navigate 2 code (a used book/code will not work). Students must provide their own: approved fire boots or safety shoes, fire helmet, safety glasses, fire gloves.